Is this ‘essential pharmacy’ the key to Well’s future? Well still views its "essential pharmacy" as a "work in progress"
Last November, Well Pharmacy unveiled its first "essential pharmacy", a branch in Northenden, Manchester, which the multiple "ripped down" and "rebuilt from scratch" to increase space in the dispensary and install a prescription vending machine. 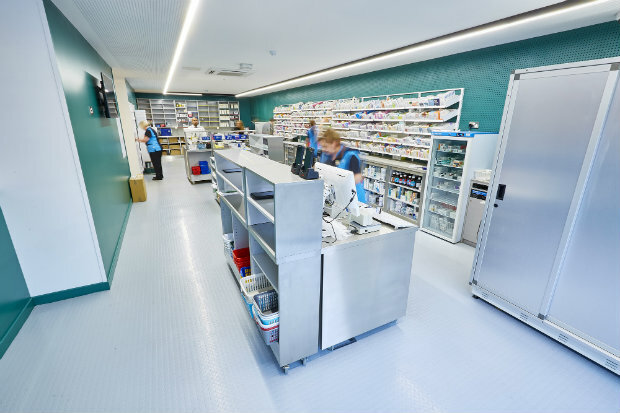 C+D spoke to Chris Ellett, Well’s transformation director, Neil Stewart, the strategic lead behind the "essential pharmacy" model, and Shezan Dar, the pharmacist at the Northenden branch, about the multiple’s latest move. The "essential pharmacy" is the latest stage of the multiple’s strategy – which includes its online and iPhone app services, and continued use of the hub-and-spoke dispensing model. 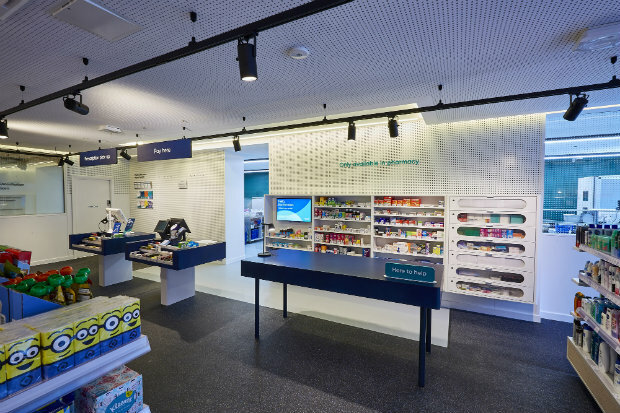 Mr Ellett tells C+D the chain remains committed to the idea that "stores are going to play an important role" in the company’s future, and the "essential pharmacy" is key to Well’s bid to improve its customer experience. "The old model is broken"
Rather than being simply a physical refit, Mr Ellett stresses that the store represents a "strategic direction", founded on the belief that the current standard of customer experience in the pharmacy sector is not as high as in the retail sector. This sentiment is echoed by Mr Stewart, who says: "We can't stand still any longer; the model is broken, [and] we need to do something." The multiple is aiming to make the experience more convenient through "opening up choice to the customer", he says. However, the "blueprint" of what an "essential pharmacy" is has yet to be conceived. In early 2019, the multiple will turn two more branches into "essential pharmacies", with the view that by the end of the year, it will have an idea of what the concept really means, Mr Ellett says. "We’re going to be quite ambitious and do two stores at the same time," Mr Ellett explains. "They’ll be quite different [and] they may not have a vending machine, for example. We’ll see how we can adapt this model [in Manchester] and make that work in different environments." 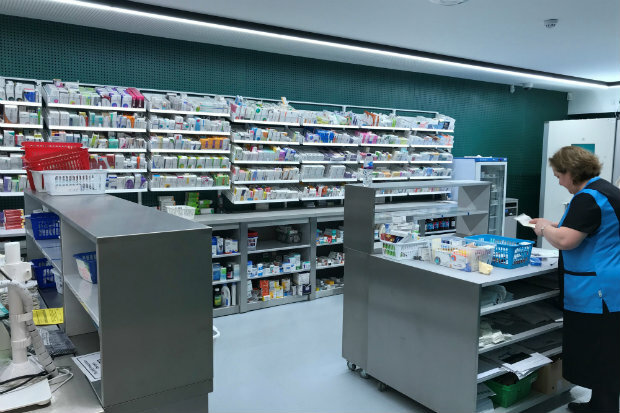 One of the biggest challenges for the pharmacy team during the branch’s transformation was that it had to remain open, despite the disruption, noise and dust the refit caused, Mr Stewart says. Building contractors "don’t really worry about it, because they are in their scruffs all day [and] singing at the top of their voices to the radio. But on the other side of the plastic sheeting, there is a professional operation going on", he says. As well as dealing with disruptions to the day-to-day running of the pharmacy, Mr Stewart says it was important to help the team understand why the change needed to occur. "A lot of [the staff] have been here for a long time and it means a lot to them when their place of work is growing and changing," he says. However, "it's not big brother at head office", dictating the way changes are made, he insists. The multiple is “giving the team autonomy to continually make [the branch] better". Mr Dar tells C+D that, in the refitted branch, it's the dispensary staff who are in control. The new model "has resonated so well with them; they feel so happy doing it, because they've not been handed a piece of paper saying 'implement this'", he says. Mr Ellet says pharmacy staff at the multiple have responded well to change – and the possibility of change – in their respective branches. "So, for colleagues to see that we're bothered about stores and [they're] important for our future strategy – and they love the way it looks and feels – [is] overall really positive," he says. The refit has seen the size of the dispensary increase from 20% to 80% of the branch. Yet, even before this change, staff had begun to implement changes to the way the team work, so there is a "flow to the working pattern" where there wasn't before, says pharmacist Mr Dar. "It was like ants in an ant village," he recalls. But now he describes the process as "seamless". "From picking the first basket to it being checked, it's like a nice, smooth conveyor belt." The improvements to the processes implemented in the dispensary have led to increased efficiency and patient safety, Mr Dar says. He tells C+D the changes have been "absolutely brilliant". "You've not got baskets on top of each other, [or] medication falling into the baskets, [because] you're doing it one basket at one time." "On average...it [takes] two-and-a-half minutes per basket from being picked, checked [to] on the shelf", says Mr Dar. "It's phenomenal...but that's the way it should have always been." Mr Stewart says the multiple has hit its three main objectives for the "essential pharmacy" branch: growth; efficiency; and a greater level of "quality" in patient safety. Despite the transformation, the multiple still views the branch as a "work in progress". Mr Stewart says it "looks amazing, but from a practical perspective we can always make this better". He adds that the lessons Well has learned in the process have been "quite fascinating, and some things have surprised us". While he admits the multiple doesn't know the answers to a lot of questions, he is confident that when they do find out, they're "going to make it better". What do you make of Well's 'essential pharmacy' model? With the imposition of the new contract, many pharmacies will find themselves financially unviable. What Well has done here is nowhere near enough to make community pharmacy profitable. The NHS will no longer fund our employee costs, council rates and rent. They are determined to see the cost savings associated with robotised central dispensing by 2020. Bricks and mortar pharmacies will probably reduce by about 70%, many pharmacists will move into prescribing roles in GPs, others will move into different industries and the remainder may operate private pharmacies, where dispensing will be at the cost to patients and the prices of shop bought drugs will be significantly higher (as the NHS will no longer be subsidising OTC medications with practice payments). When all is said and done, the irony is, with centralised dispensing, the NHS will effectively be handing a monopoly to a handful of private companies, meaning, it may actually end up costing more than the current model ever did. Many ideas that we see here are common sense rather then revolutionary. Dedicating more space to a dispensary will always be beneficial. My concern is what happens to the people who run these dispensaries? Reviews of Well express a myrid of worries, from admittingly ex-employees, who experience a sense of disconnection and obliviousness. For lessons learnt, it's not gone unnoticed that they have stopped talking about their "Advanced Dispensing", along with the jump of some major figures within the company to rival companies. Every multiple is now pushing towards the essential/advanced/modern/fulfilment model using technolgy these days. Anyone who's isn't adopting this is going to be struggling. My wonder is, how many casualities are we going to see along the way?